What You Need to Know About Apple Cider Vinegar Mole Removal: How Effective Is It? 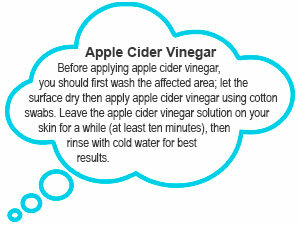 Apple cider vinegar, works wonders on the unattractive skin lesions like moles. You may have doubts about the effects of using this common household product as a natural remedy of removing moles on your skin; however, the health benefits of this common food product have been scientifically proven. 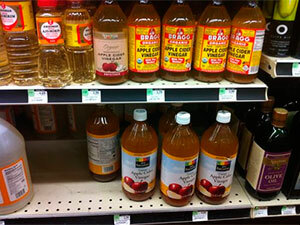 The good news is that Apple Cider Vinegar is readily available online and even at grocery stores. Why Is ACV So Effective When It Comes To Mole Removal? Is It Safe To Use ACV? Where Can I Store my ACV? Will Apple Cider Vinegar Work For Me? Before talking more about ACV, it’s important to first learn more about this particular skin condition. Moles are tiny groups of pig-mented cells (melanocytes) that generally look like dark-brown, flesh-colored or black spots on an individual’s skin. Although cosmetically repellant, moles are not essentially a concern when it comes to wellness and health matters. Moles can either have a flat shape or have a raised one and can come about both with hair or without. The number of moles that a person may have can be majorly affected by hormonal changes, exposure to the sun and genetics. Most people experience the appearance of moles before they hit 30 yrs. of age. Congenital nevi are those moles that are usually there during birth. They mainly occur in one in one hundred people. Congenital nevi moles are more likely to advance into cancer (melanoma) than moles that occur after birth. A mole or spot should be observed if it has a diameter of more than ¼” – a pencil eraser or any features of the AB…Es of melanoma. Dysplastic nevi are those moles that are usually larger than normal and also feature an irregular shape. They tend to have an uneven color code with a dark brown interior and lighter, irregular edges. 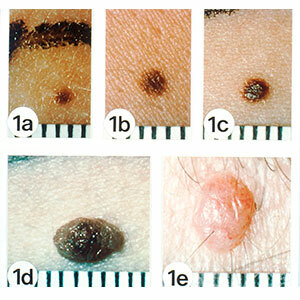 These types of moles are more probable to become melanoma. As a matter of fact, individuals with 10 of more of this type of moles have a 12-times higher chance of developing melanoma, which is a more severe form of skin cancer. Any alterations in a mole should be studied by a dermatologist to assess for skin cancer. Why people get moles is equally straightforward. You can be born with them, while another person can have them as they get older, while others are as a result of the influence of the sun. You are however, capable of preventing some moles from developing, by wearing the correct sunscreen and thus protect your skin from sun damage. Observing keenly how your moles look over time is extremely vital, as self-examination can be key in catching skin cancer in its early stages. Apple cider vinegar will always not aid with the removal of moles. There are particular limitations. For example, if the moles have turned to melanoma then they need to be removed from the primary cells. Check the size of the growth over a biopsy test. However, removal of the mole cannot guarantee you that the mole will not persist. While going out always shield your skin from too much exposure to sunlight so as to prevent melanoma and moles from developing back. The Skin Cancer Foundation (SCF) recommends keenly observing the following moles warning signs. In the event that you notice anything out of the ordinary, it is wise that you immediately see a skin specialist. The signs include a skin tumor that grows in size and looks pearly, tan, translucent, black brown or multicolored. An open sore that fails to heal within a period of 3 weeks. Getting rid of this skin problem can most definitely boost your confidence and self-esteem. Skin mole removal is often connected with expensive surgery or regular trips to the dermatologist. This is often not an option in today’s financially turbulent times, especially with the spate of layoffs that is continuing to this day. Do you have any skin tags or moles that you have always wanted to get rid of? You do not have to live with this skin condition for the rest of your life. There is one very natural and most of all, very convenient thing you can do to remove all of your moles. Do yourself a favor and choose the all-natural, easy and safe solution that will put all of your worries to rest – Apple Cider Vinegar (ACV). Apple cider vinegar is an authentic wonder remedy that is so effective, you will you will be surprised that you didn’t know about it sooner. Apple Cider Vinegar (ACV) has proven time and again to be extremely effective when it comes to mole removal. However, if your moles have become cancerous, a treatment such as apple cider vinegar will not be enough to get rid of it. Apple cider vinegar is a natural astringent, and that’s why it’s so effective in the treatment of moles. The best part is the fact that ACV is both cheap and healthy as it doesn’t have any alcohol in it like other OTC skin treatments. There is no reason why this form of natural medication shouldn’t work. Apple Cider Vinegar is a fermented fluid, which makes the solution to have very high levels of acidity. The acid has been shown time and again to make a person’s moles shrink in size, and over a short period of time. ACV, as it is at times referred to, has been used for generations and for various things. Scientists have even found bits of the vinegar in Egypt going as far back as 3,000 B.C. 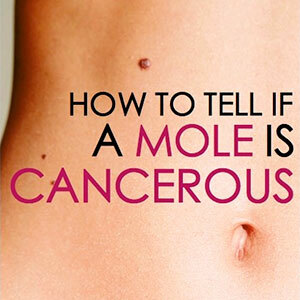 Elimination of moles with apple cider vinegar is not only easy, but also safe. Most alternative methods have proven to be both detrimental and risky to the immediate skin tissue which may cause disfiguring. It is also a readily available product from retail and wholesale sellers at affordable rates. It absolutely will not hurt your pocket. This special type of vinegar has loads of other health uses and benefits including removal of warts, skin tags or moles, which has been around for a long time. 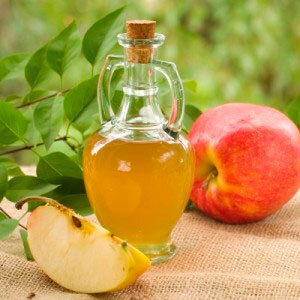 Home-made vinegar is not the best, consider buying ready-made apple cider vinegar for best results. It’s really no hustle as Apple cider vinegar is manufactured by several different companies and it’s readily available at affordable prices. Apple cider vinegar features a mild natural acid substance that eats away at the moles and helps them dissolve. The mole may completely disappear or even turn black and eventually fall off – what happens to a particular mole mainly depends on the size of the mole. While the treatment of moles and warts is similar, their causes are very different. The properties of Apple Cider Vinegar will get rid of moles by decreasing them until they ultimately fade away. Get some cotton balls and then soak them in the apple cider vinegar. Rub in the cotton ball straight to the mole and before covering it with a bandage. Repeat the process two to three times every day. Continue with the cure for as long as it takes to see that the mole is diminishing in size and developing a shell at the top. In the end, the mole will be a shell will fall off of your skin. Apply Apple Cider Vinegar till the mole completely disappears. The best time to work on this process is at night. This is because you can leave it on the whole night and secondly, there is almost zero chance that you will get it off by mistake as you might when going about your daily activities. You may have to execute this procedure up to 2 weeks before you notice a major difference in your mole. One of the main benefits of using apple cider vinegar for removing moles is that there are few side effects. It is also an all-natural process which means you are not dealing with destructive chemicals that can cause harm to the adjacent tissue. This is so especially if you take extra precaution in rubbing on some Vaseline around the part you want to treat. In addition, you do not have to take any distinct safety measures when using this natural remedy when compared to other methods as they’re known to cause damages or burns to the surrounding skin. You also do not have to worry about ACV being harmful or poisonous to you or the environment. ACV isn’t as helpful for mole removal if the acidity has been diluted. So for best results, ensure that the cap of the bottle is shut at all times. And if possible, the bottle ought to be kept out of sunlight – either in your kitchen cupboard or fridge. Out of all the other natural mole removal remedies out there, Apple cider vinegar is the fastest and most effective way of accomplishing the wanted result. Other greatly commercialized products many harsh substances that may possibly end up in reality doing more damage than good to your skin after some time. For those who opt to remove moles using cosmetic surgery to remove moles from their skin, they end up using up to 500 dollars. Most people that go through these processes have no clue that Apple Cider Vinegar is just as effective and much more cheaper! Numerous people have tried the Apple Cider Vinegar cure for mole removal; with majority of them finding it effective whereas a few of them claiming that the ACV remedy did get rid of the moles but it resurfaced after a short period of time. Still, always make sure to check with your dermatologist before you go in for any mole-removal remedy.